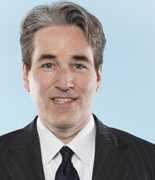 Mr. Trembley is a partner with Paterson, MacDougall LLP in Toronto. He practices primarily in the field of aviation law and products liability. His practice includes representation of air carriers, product manufacturers, maintenance organizations, as well as professional and private pilots. Mr. Trembley advises aviation industry clients with respect to liability and regulatory matters. Mr. Trembley has represented insurance companies in coverage disputes, bad faith litigation and subrogation recovery litigation. He has represented clients before the Ontario Superior Court of Justice, the Ontario Court of Appeal, the Federal Court of Canada, the Alberta Court of Queen’s Bench, the Supreme Court of Nova Scotia, the Supreme Court of Newfoundland and Labrador, the Nunavut Court of Justice, the Canadian Transportation Agency, the Canadian Human Rights Tribunal and the Transportation Appeal Tribunal of Canada. Mr. Trembley is recognized by Best Lawyers in the area of aviation law, and has been selected as a leading practitioner in Lexpert’s annual survey in 2014, 2015 and 2016. He is a frequent speaker at aviation law conferences in Canada and the United States. Mr. Trembley is author of the Halsbury’s Laws of Canada title on Aviation and Space Law (published in 2009 by LexisNexis and re-issued in 2013). He is a member of the American Bar Association (Air and Space Law section, Torts and Insurance Practice section) and the Canadian Aeronautics and Space Institute.